Today i had to run again on my local machine some WordPress instances to find a bug and preview an integration with some services. Since the motivation is to have a quick development enviroment and at the time i had no access to the cloud VM’s and since creating WordPress solotions over IIS dangerous and tricky. By default Xampp uses siome ports and is always a fight to remember where we have to change things, that’s the reason for this digital note. First we have to change the default ports used by the diferent tools that Xampp had embebed. and Apache both run on the same machine) In case off apache you should change the configurations on appache Conf file. This solve the problem off Apache. To grant that also the XAMPP Control Panel Admin button is loking also to the right port We need to interact with the configurtion file off Xamp interface. This is done on the xampp-control.ini File on the section [ServicePorts] (in our case we are changing the port to 8080). Now we can have Xampp running Apache in a different port, the changes need to made to change MySQL and other services port is similar. I hope this post can be off any help if you fall in some stuck conner with Xampp configuration feel free to contact me maybe we can help you with our previous experience. If I’ had to rate the most important Knowledge a WordPress developer should have, I’ would select the WordPress Loop, in this post and answering some request I will dive in to the WordPress Loop. Describing what’s the Loop is all about and how we should use this in our WordPress development. This post is a first part post of two. If we want a short description of this feature we may say “that the WordPress Loop is just a PHP query that allow us to control and talk to the WordPress Content requests, basically is the hearth of WordPress”. We have describe the Basic Loop. The Basic Loop checks whether there are any posts to render, the number of element’s shown by the loop is controlled in the global blog settings. When exists post’s to render the While Loop is started, and as long the number of post’s rendered is less or equal then the number defined in the settings the different post’s are iterated. What will happen is that when processing the Index.php template the runtime will look for the Loop definition in to the loop-index.php. The main propouse of defining a Template Loop is to control the loop in a specific case. 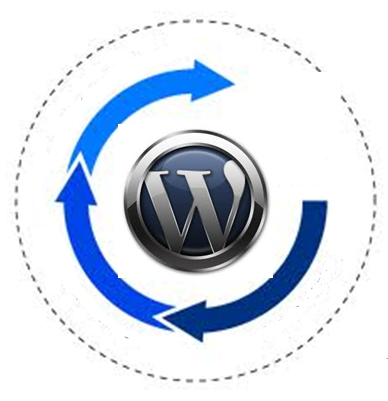 If you don’t want to control that, the WordPress will only revert for the WordPress base loop that lives in to the loop.php file. Before we start to talk about the Loop control usage and the different way we can explore this, we need to take a look in to the “kernel” of the Loop WP_Query. WP_Query is explained in the codex and is the class responsible for querying for post’s or some post’s information. <!–?php $news_query = new WP_Query() ?> using now the news_query we can trigger a new Loop. If you wish to use the Loop as a way to choose part’s of your posts to display or to define the way the post’s should behave, after knowing what’s the loop and that you can use the WP_Query as a way to define “subLoops”, the next set of tools you need to know are named as template tags. And what Template Tags can be used control the post output. 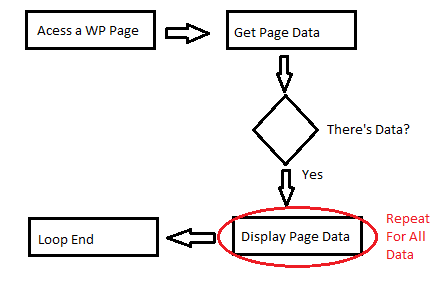 Template Tags are defined by the Codex as WordPress instructions that allow us to do or get something (to know more about template tags worth to go to https://codex.wordpress.org/Anatomy_of_a_Template_Tag). <!–?php the_title(); ?> – This echos the post title, i.e. Hello World! <!–?php edit_post_link(‘Edit’, ”, ‘ | ‘); ?> – The edit post link will be visible only to those with permission. <!–?php the_content_link(); ?> – Shows the content of the post. In next part of this post we will look to other types of post, and how we can build multiple Loops and what are the cases in. We will also continuing to look to the Loop backstage magic and see the alternative to the loop usage. 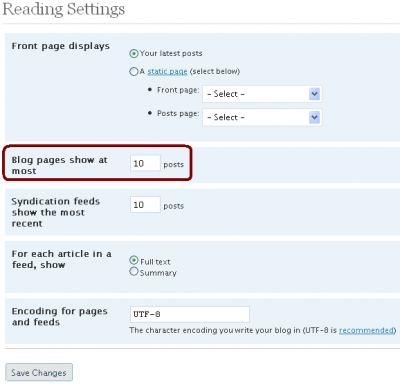 One of the most versatile features of WordPress is Custom Post Types. There are great benefits of using more than the five native ContentTypes (Post, Pages, images, attachments and so on ), when using WordPress as a CMS. Custom Post Types enable us to create new types of Post or Page like contents, this kind of types are treated as equal citizens to Posts and Pages having their own dedicated Menu Item. In this Post I will use the canonical example of Event to show you step by step how you can use this great WordPress Feature. 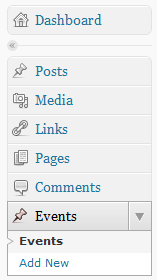 For the development examples we will use the Default WordPress Theme, since all we want is to present the technic. Post Types that allow us to have more specific Types. Now that you already know the main advantages of using Custom Post’s let’s start by creating a Custom Post to Model an Event. First let’s open the file functions.php of our theme and start coding our new type. when WordPress Initiates (because we are passing init as the event to hook). supports array we define what our new type will support. finally with the register_post_type we make the register of the new Type. create my own types but can i define their layout in a different manner than the native WordPress post’s?” And the answer is yes. redefine the way our Custom Post is presented but if we want to do that as you had seen would be very easy. Template. This is done by copying the contents of page.php to a new file called page-[your_post_type_naem].php. This way you will get all the Event Post’s you have at your Site. 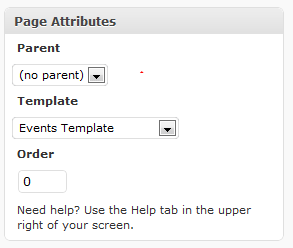 and then select the “Events Template” for the Template page attribute. And that’s all, i hope this post has a help for you to learn one-off the most interesting extension features of WordPress. Any developer using WordPress nowadays and a great part of the Web community knows that WordPress is useful for much more than blogging. One of the places where i had use WordPress more in the last 4 years is in CMS scenarios, not only in my private projects but also in the company where i Work. 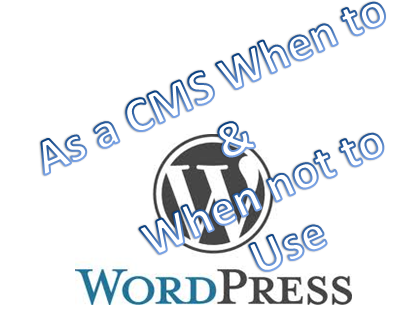 Knowing many CMS’s and being Technology agnostic make the decision of what is the right technology for a CMS scenario a technological rational decision, in this post i will try to explain the rational i use when i am deciding to use or not WordPress as the CMS platform of a project. WordPress as a great advantage the fact that offers a simple and User Friendly way to manage and write contents, along with Images or media files. 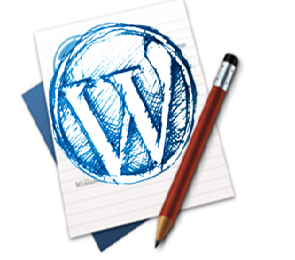 Almost all the scenarios out there that you have for the web could be build using WordPress. But let’s not forget the importance of choosing the right weapon for your war in technology there’s no panaceas as we well know, so let’s take a look in what makes WordPress special for a case. There are also other things to consider like the amount of private contents per example. Basically WordPress is a great solution for CMS scenarios but sometimes we much consider other options. It’s clear that the advantage of quick development and big design capabilities are important but we should not be blind we have to consider that if we have a complex problem the solution should pass for more structured and modular CMS’s like Drupal, Sharepoint, Kentico , Umbraco and other’s. Basically for today web quest’s WordPress is a big player and i believe that it will continue to grow using their extensible mechanisms like widget’s and plugin’s to be usefull in other scenarios.